[SatNews] One congresswoman summed up the issue succinctly during a House Science, Space and Technology Committee hearing May 9: Space junk is a growing problem. 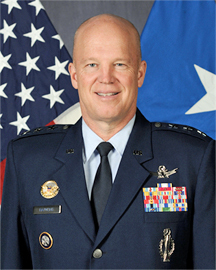 Commander of the 14th Air Force, U.S.A.F. Lt. Gen. John W. "Jay" Raymond. Air Force Lt. Gen. John W. "Jay" Raymond, commander of 14th Air Force, Air Force Space Command and U.S. Strategic Command's Joint Force Component Command for Space, testified at the hearing, along with technical and legal experts and officials from the Federal Aviation Administration and Federal Communications Commission. Raymond noted his task force provides emergency warning of impending orbital collisions to all of the world's spacefaring governments and companies, though it collaborates closely in space primarily with Australia, Canada and the United Kingdom. JFCC Space, he explained, catalogs and tracks the trajectories of all known orbiting systems and debris. "JFCC Space is the world's premier provider of space situational awareness, data and products," Raymond said. "Over the past few years, we have bolstered our commercial and international partnerships, we've implemented two-way sharing agreements, and we've worked collaboratively to refine our sharing processes." The general noted the command also is on track to deliver a new command-and-control system, the Joint Space Operations Mission System and additional space situational-awareness sensors. Each agency represented at the hearing, along with NASA and others, has a role to play in U.S. space operations. All of the witnesses stated that the United States must improve domestic space traffic management, and move quickly to foster international agreement on use of space. Key orbits—mostly crowded with government-owned vehicles—are becoming obstacle courses, experts testified, as more countries launch more objects into space. But each of those objects could become a minefield if it collided with another at "hypervelocity" orbital speeds many times faster than a bullet, as one witness testified. Such a disaster has happened spectacularly at least twice in the past decade. In 2007, China destroyed one of its own old satellite systems in orbit during an anti-satellite weapon test, in what hearing attendees called the largest known creation of space debris in history. China's test blasted the nonworking mass into a "cloud" that diffused widely—in some depictions, it now resembles a seeding dandelion head -- and is estimated by some at the hearing to include 150,000 objects centimeter-sized or larger. The second orbital catastrophe was in 2009, when Russian satellite Kosmos-2251 and U.S. commercial satellite Iridium 33 collided, destroying both satellites. Each vehicle disintegrated along its orbital path, scattering a roughly X-shaped debris field one witness said holds some 2,000 objects of at least a centimeter in size. Each piece of space junk, as well as each functioning orbital object that eventually will become junk, has a projected duration in orbit that varies from months to centuries, witnesses noted—mostly depending on the object's size, shape and orbital elevation. Raymond said monitoring increasingly complex traffic and debris in the space domain is and will remain his command's mission as part of DOD, both to protect national security and because no other agency is equipped to do so. While JFCC Space constantly tracks orbital objects and adjusts recorded trajectories, Raymond acknowledged the command has no authority to act against a potentially destructive satellite or other object in space. Regulations governing even U.S. domestic spaceflight are complicated. As witnesses explained, the FAA has authority over U.S. commercial and government space vehicles—but only on launch and re-entry, not during orbit. 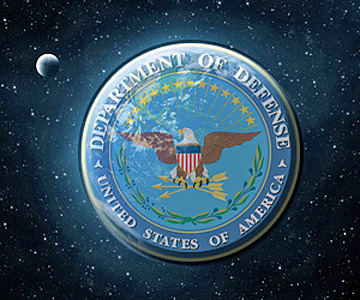 The Defense Department has responsibility to monitor, but cannot enforce, space movements. However, testimony suggested the need to bring order to managing close encounters in space is pressing. Raymond noted one witness had testified that NASA's International Space Station had changed position 16 times to avoid striking other objects in orbit. "In fact, just last month we told them to move it twice," he added. Witnesses and committee members agreed as the hearing closed that effectively managing space transportation, clearing debris from orbit, and protecting the planet from strikes by near-Earth objects are all challenges that will require national and international effort.